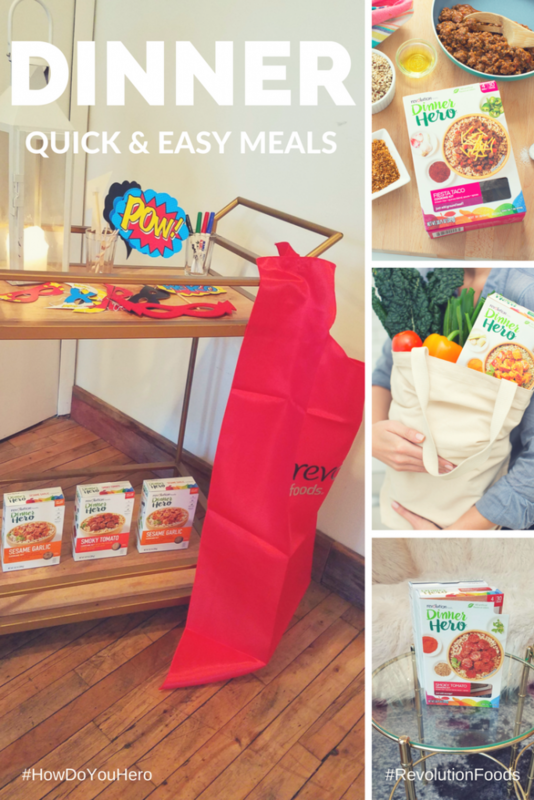 Be a Dinner Hero to Your Family | A Savings WOW! Disclosure: This is a sponsored post. All opinions are our own, honest opinions. Are you and your family juggling schedules? Are you looking for quick and easy meals to make? Would you like to be a dinner hero to your family? If you answered “yes” to any of these questions, we have a solution for you! 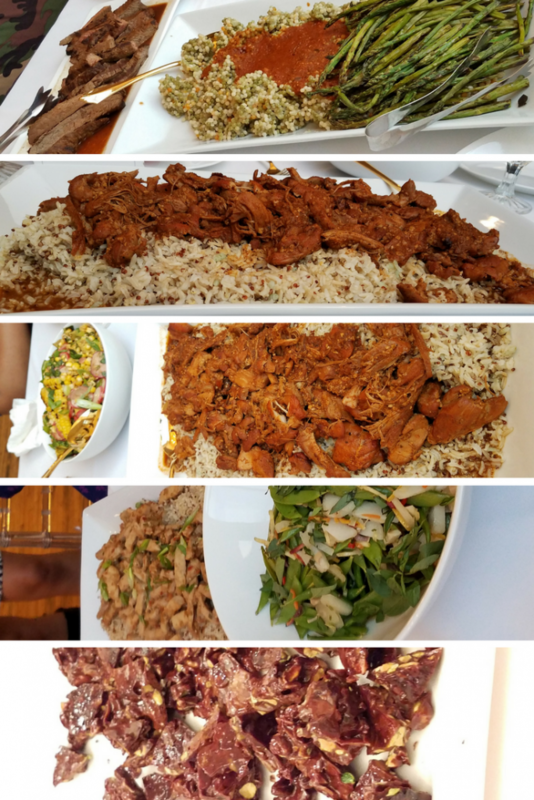 My favorites were the Argentinian-Marinated Steak and the Pistachio Coconut Brittle. It really surprised me that you could make brittle using ingredients from the Coconut Curry Dinner Hero Cooking Kit! Revolution Foods was founded 10 years ago by two moms who wanted to change the way that kids eat in America. They are the leading provider of healthy family meals across the nation, serving over 2 million school meals a week over 2 million freshly-prepared meal a week in 1000+ schools nationwide. They have a deep commitment to nutrition, childhood education and sustainable supply chains. They are now bringing their recipe for success to stores too, with convenient, healthy solutions for breakfast, lunch and dinner. Their Breakfast Hero and Dinner Hero products are a healthy choice for busy parents, but still packed with fun and flavor for the whole family! 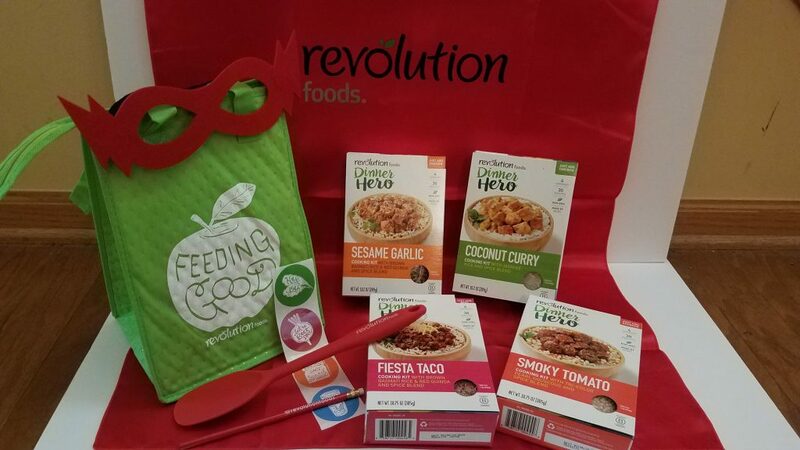 Revolution Foods also donates 1% of their retail sales to schools to help provide fresh meals to their students every day. Revolution Foods mission is to build life-long healthy eaters by making family-inspired, chef-crafted food accessible to all. In the Chicago area, you can find the Dinner Hero meal kits at Jewel-Osco in the same aisle as Mac & Cheese. 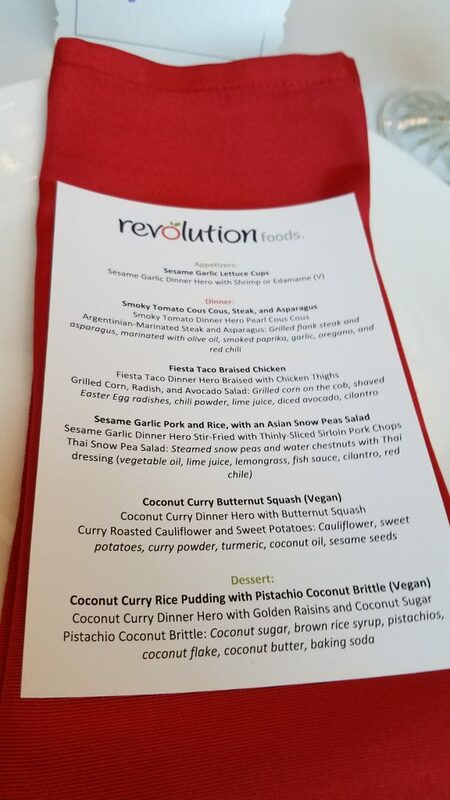 You can check the Revolution Foods website for more locations outside of Chicago. 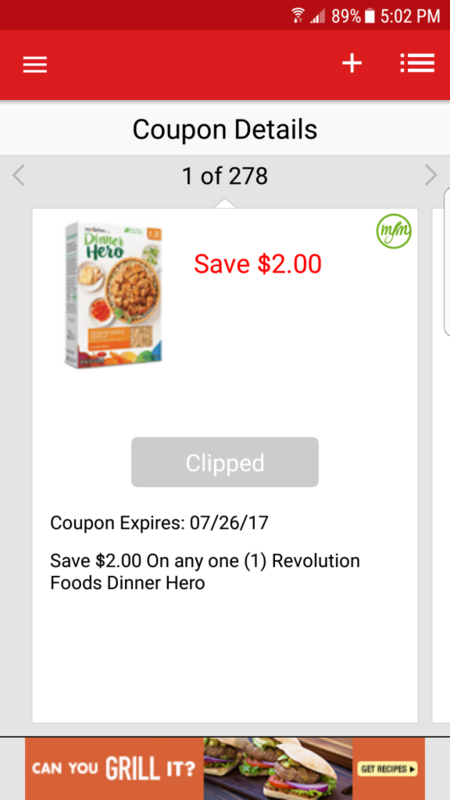 In the Chicago area, check your Jewel-Osco app for a possible $2 off coupon, good through July 26th! 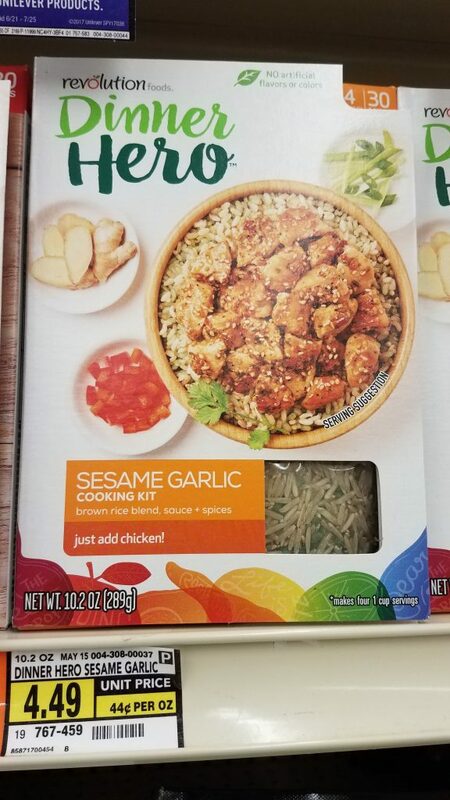 With the cooking kits priced at under $5, this is a great deal! Since our kids love helping out with cooking meals, we’re excited to see what types of dishes they will come up with using these cooking kits. We have found that when our kids have a hand in making dinner, they are more excited to try new foods and spices. Let us know which kit you’re most looking forward to trying!